ITPE was showcased at the exhibition at the Digital Skills and Job Coalition annual conference that took place on 7 December 2017 in Brussels. 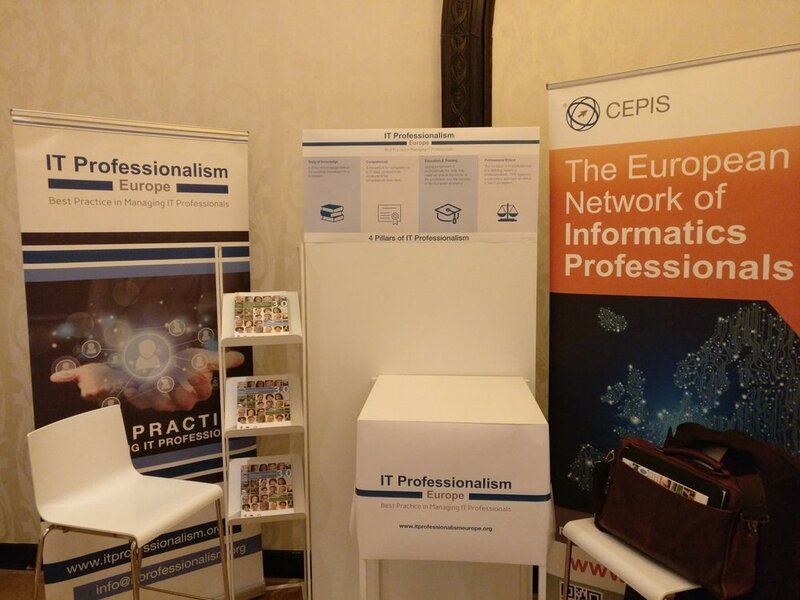 The conference sought to explore the digital opportunities available in Europe, which provided the context for the ITPE exhibition on IT Professionalism. The European Commissioner for Digital Economy and Society, Mariya Gabriel launched the Digital Opportunity traineeship scheme and announced winners of the European Digital Skills Awards 2017. Following the presentations, conference participants visited the exhibition to learn more about the digital opportunities available. ITPE’s stand focused on the four pillars of IT professionalism, benefits offered by our network, and an interactive quiz where participants could test their knowledge of IT professionalism.